Day 218 – Best. Day. Ever. Today was the first time I threw a birthday party for my son. Life doesn’t get any better! Today I had one of the most beautiful “firsts” so far. Today’s “first” is that I did some voluntary interpreting in a situation that was new to me. The interpreting itself doesn’t matter too much, suffice to say that it was at a public authority and under circumstances I’d never experienced before. A purely bureaucratic matter and nothing spectacular as such. I’ve been doing a lot of emailing lately to get people involved in the Fest der Kulturen (festival of cultures) our association is planning for the summer. Happy Old Year, Happy New Year! 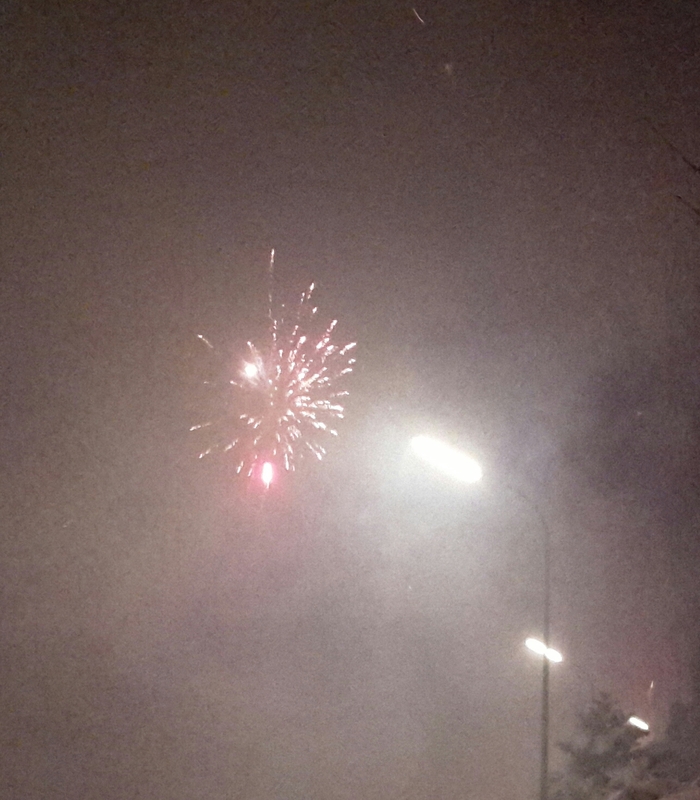 So the year started off pretty well: After hours of saying I’d stay indoors with my sleeping baby at midnight, I was convinced to take the baby monitor outside with me and watch the fireworks from up close despite being a bit of a coward when it comes to all the banging. About half an hour into the new year, I figured now was as good a time as any to start behaving like a grown-up.